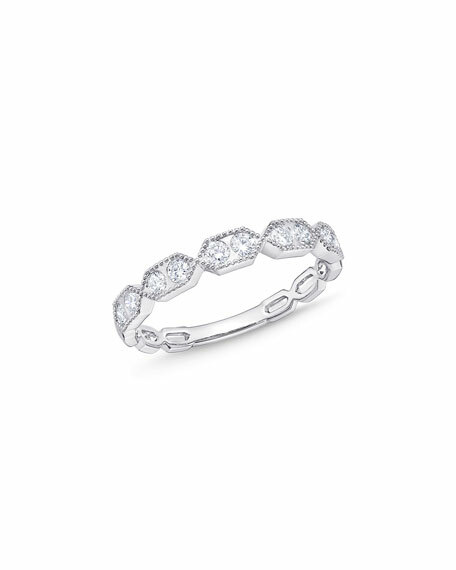 Memoire stacking ring in 18-karat white gold. From the Stack 'Em Up Collection. Hexagonal stations with diamond duos.